How many times have you left the hairdresser with a hairstyle you don't like because you were too scared to say that you wanted something else? Here are some tips on how to be firm and stand up for yourself. Why in the world do so many otherwise self-possessed women feel intimidated by hairdressers? Hairstylists are on a pedestal and we are quailing below, afraid that if we say the wrong thing before we put our heads in their hands we will emerge looking ridiculous. Not perhaps that hairdressers will actually take revenge, and deliberately make you look that way, but that, artistic egos wounded, they will lose interest and do a half-baked job. We've had too many experiences with hairdressers who act as though they are doing us a favour: that we are mere raw material, and poor raw material at that. 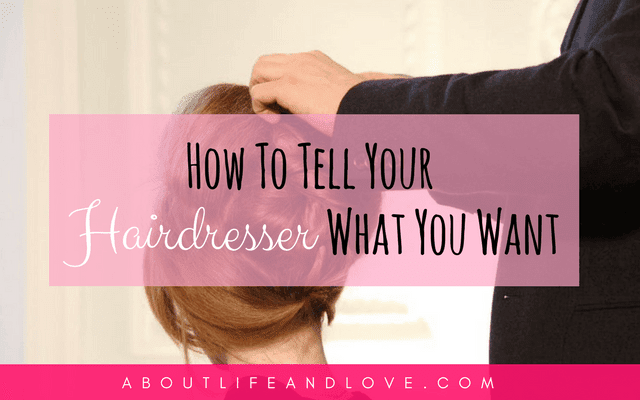 Well, a hairstylist wants to style, to create, to take your hair and do something wonderful with it. The problem, of course, occurs when her or his idea of something wonderful does not coincide with yours. The hairdresser may either be fixed on the current trend or just not possessed of a very good eye for what flatters a face. It is your responsibility to communicate your wishes. Some hairdressers have become like spoiled children. Dealing with hair dressers involves an extra psychological dimension. A hairdo has to be a collaborative effort: the stylist's expertise, plus your personal preferences, in light of what's possible. Simply putting yourself into someone else's hands is an odd way of behaving. Would you call in a house painter and say, "Paint the living-room any color"? Too often women approach hairdressers as if they wield a magic wand instead of a pair of scissors. It's scary to confront your own looks analytically, but force yourself! It's not vanity, just commonsense. Going to a hairdresser with a vague fantasy is simply unrealistic. You lay yourself open to having the hairdresser plant her or his ego on your head, and the chances are you'll be disappointed. To get on the right track, here are some helpful tips. ● Best results come from dealing consistently with someone who knows you and your hair. ● Get recommendations from friends whose hairstyles or cuts you like. What you are looking for is a general indication of expertise, not a replica of how you would like to look. ● Ask for the head of the salon or for the head stylist. ● Ask the receptionist for the person who is good with your type of hair or hairstyle. ● Meet your new hairdresser before you change into a smock and are shampooed. Seeing you in your current hairstyle and clothes helps a stylist to give you advice. ● Check out a hairdresser by going first for a shampoo and set or blow dry. It's a perfect opportunity to have a longer talk before any serious cutting or colouring. ● Avoid the fashion dictator who gives every customer (regardless of age, face, or hair) the same style. ● Tell the hairdresser as much as you can about your hair itself: how often it needs washing and how long it holds a set. ● Be honest about how much upkeep you can give a hairstyle. Can you set it or blow it dry or do you only have time for wash and wear? ● Make sure, in describing what you want, that you are being perfectly clear. Leave nothing to chance; don't forget to state the obvious. ● If you want a change but are not sure what, and want the hairdresser's expert advice, you should at least say what you don't want. ● Confront your expectations and keep your wishes within the bounds of reality. Don't fall in love with a hairstyle that is impossible to have with your hair. ● If you are contemplating a dramatic change of length, colour, or going from straight to curly or vice versa, go somewhere and try on wigs first. ● In the case of a perm, set your hair on lots of little curlers to try out the effect. And if you achieve just what you want, get it right before you go to the hairdresser. ● It is certainly worth the effort to test the look of permanent waves, straighteners, and hair color because these are chemical processes. The results can continue to affect your hair for as long as two years, and no magic will take them away. ● Take pictures of the hairstyle you want, but remember it's only a starting point. ● If things don't turn out entirely to your satisfaction, complain to your hair dresser, not to your friends, and if you continue to be unhappy, it's time to switch. ● Don't be afraid to go back for a correction to a cut. ● If you're not much at handling a hair dryer, ask to be shown how to blow-dry your hair. Or how to set it or comb it. 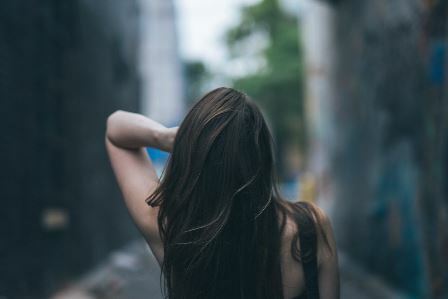 The days of the weekly shampoo-and-set visits to the hairdresser are pretty well past; today hair dressers mostly do the big stuff (cut, curl, straighten, colour) and are happy to help you learn how to maintain your hair between visits. passionate to share her beauty secrets on how to look pretty. Beware of big changes :))) So right! i love my $15 haircuts done by a true professional who pays attention to what i want even as i give her permission to do her thing. Ive experienced this and didnt know how to very politely say 'I dont like it'. Great tips that I'll defo implore if Ifind myself in this situation again. When it comes to your hairstyle it's important you find a stylist who truly understands your hair, and although as a professional they give their insight it's important they take into consideration exactly what you want. The best hairdresser I ever found was one I ended up moving away from. I had a friend with a similar type of hair and liked what she'd done with it. It's too bad we don't have teleportation devices, eh? Hi Lux, Just stopping by to say HI and thanks for the post. I'll leave other comments to those who know far more about this than I do. :-) Hope you are having a great week! Well I guess we need to trust our routine hairdresser! All great tips, thank you! I try to bring a picture with me about what I want my hair to look like. It helps so much! We sure communicate, She listens, I listen and then we get to hair business. I'm actually stuck with a hairstyle I really don't like at the moment because of this problem. I definitely won't be making the same mistake again now!